Black modular porcelain sugar pot with dark charcoal color and soft sand texture. Geometric bottle opener crafted from brass with an organic, natural texture and sturdy weight. A hand tufted rug crafted from 100% wool yarn with suggestive, minimalist private parts patterning. Modular porcelain sugar pot with light grey color and glossy texture. Akazi and Zera bowl handmade from Rwanda. Both functional and decorative for the modern home. For each bowl sold, the artisan is able to pay for annual health insurance per family member. This linden wood breakfast set is designed by Rina Ono and handcrafted by the Takahashi Kougei Workshop in Hokkaido, Japan. Inspired by the shape of an egg, the Cara series products are a pleasure to hold with their smooth, warm surfaces. Set includes two egg holders and a creamer. From Areaware, a brass key ring with a minimal screw clasp. Designed by Karl Zahn to be worn around the wrist or clipped to a belt, made from 10 gauge brass wire. A throw pillow in Hills+Valleys. Abstract print design. Unpatterned flax linen reverse. Invisible zipper closure. Hand silkscreen-printed with eco-friendly ink. Includes Polyfill pillow insert. Tall black mug with soft sand texture. Spoonless container with a practical and fun way to store tea leaves, sugar or sauce. Danish designed salad servers as set of two, made of solid brass. 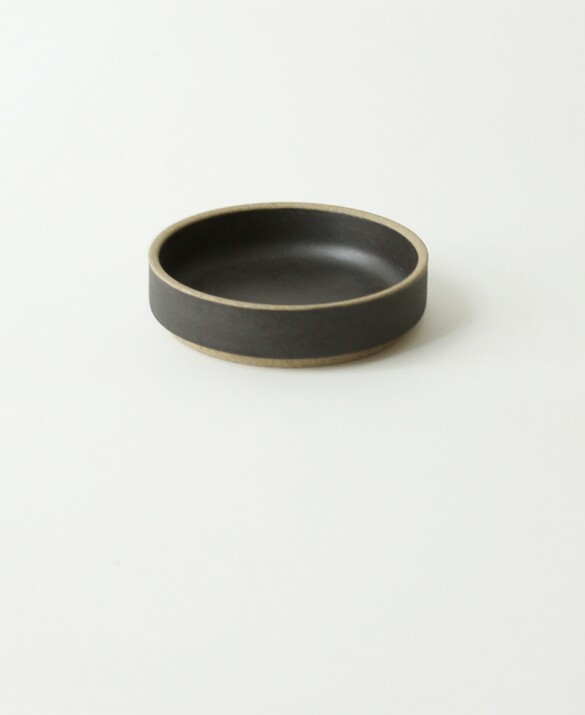 Stackable Japanese ceramic serving bowl made from a unique mixture of porcelain and clay, resulting in a beautiful matte finish and slightly rough texture. We worked with Matt Jones to create this peppermill made from wind fell native Irish Ash, that is simple, but beautiful in an understated way. A perfect addition to any tabletop or kitchen counter. The peppermill uses a Danish ceramic mechanism, it works well and is sure to last a long time. A super functional object, it even allows you to adjust the size of the pepper grinds. Natural modular porcelain milk pitcher with natural color and soft sand texture. From Emimade Studio, a set of two handcrafted porcelain ring cones with bases crafted from wheel-thrown clay. An ultra soft, large handwoven wall hanging in multi-tone material with brass dowel. Hand cast brass bottle opener from Fort Standard with open geometric design. The quirky salt piglet is perfect for serving sea salt flakes at the table, with a touch of style. Combine it with a maple wood turned salt spoon for the perfect pinch. Made from solid, untreated maple, the collection embraces the joy of everyday rituals, such as preparing, serving and presenting food and drinks, or simply to display and frame an object. Over time and use, each piece will develop its own character, with marks and stains becoming part of its history and personality. Marbled ceramic tumbler with each piece with its own unique pattern. 3 piece bamboo flatware set. Solid oak and brass floor lamp. Intended for use in the kitchen to store dry goods, this vessel can also be used throughout the entire household. Crafted from thin glass and sealed with large cork stopper with turned walnut handle. Graphic criss cross fleece rug in cream and barber. Available in different sizes. Black glazed porcelain with ceramic lids. Modular porcelain tea pot with charcoal color and soft sand texture. Sleek, modern, tubular desk lamp with a powerful LED light which can produce 500 lumens of warm white light. Features a versatile dimmer to control the exact amount of desired illumination. Mounted on a ball joint which allows for 360 degree movement, the lamp can extend to three feet, and fold discreetly to a minimal vertical profile. Tall beige mug with soft sand texture. Sakura or walnut curry spoon from Japan. Yoshiyuki Kato's work is handmade and finished with small tools using techniques to create subtle textures and enhance the inherent beauty of the natural material. 1-liter French Press crafted from ceramic. Features a matte ceramic exterior with a high gloss interior finish, included brew guidance, fine mesh steel filter and copper pull. This beautiful creamer is designed and hand-crafted by Mitsugu Morita of Mogu-Kagu Studios based in Fukuoka, Japan. Carved from one-piece solid wood, featuring a uniquely shaped spout that allows for a precise, controllable flow; from a trickling drip to a steady continuous stream. Sleek standing lamp in metal with adjustable top-arm. Perfect piece for any study space, den or bedroom. Wooden top-handle easily adjusts height of the shade, which can move back + forth for optimal light usage. Natural cowhide arranged in a graphic basketweave make this an interesting neutral. It's subtle but sculptural, casual yet chic. Stitched by hand, each rug has a fabulous one-of-a-kind look. This Louise Table Lamp has a delicate mercury glass base with an antiqued finish, then topped with a metallic interior shade for an extra soft glow. Set of ten faceted stone-sized painted wood shapes from Areaware by Fort Standard, for creating your own sculpture. White glazed creamer with wooden lid. Small elegant magnets feature very strong rare-earth magnets. Available in sets of six, these assorted hardwood magnets add a touch of sophistication to your refrigerator or office. From Yield Design, a 1-liter ceramic pitcher with simple and minimalist style. Features a matte ceramic exterior, high gloss interior finish and accommodates both hot and cold liquids. Nonagon shaped trivet cut from fine black granite. Finished with a hand stamped leather bottom to protect table surfaces from scratches. Hand-thrown, fired, and glazed by a Dublin-based studio, these tumblers combine traditional pottery techniques with a modern design aesthetic. As durable as they are beautiful, these beauties are microwave and dishwasher safe. Modular porcelain tea pot with light grey color and glossy texture. 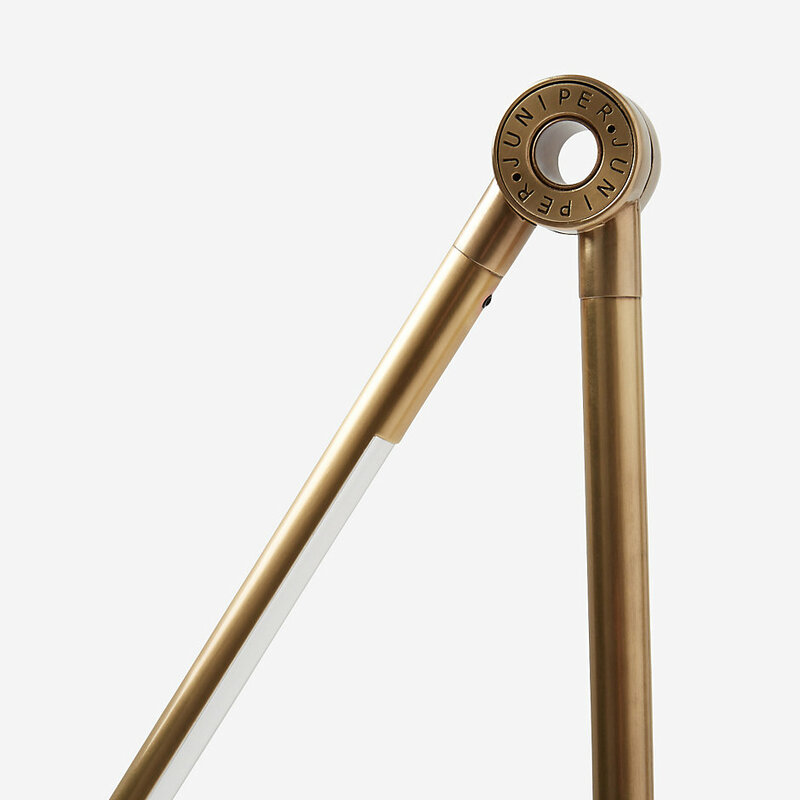 Grasshopper task table lamp derived from her original floor lamp and this authentic lamp meticulously produced to the exact specifications Grossman's original design. Clean modern minimalist dinnerware set with all you need: four dinner plates, four dessert plates and four bowls. A unique, aralia wood mug designed by Oji Masanori and hand-crafted in the Takahashi Kougei wood workshop in Hokkaido. Sanded down to a lightweight 2mm, allowing natural light to glow through yet thick enough for durable insulation. Polished stainless steel tea egg strainer. Wooden trivet, with a zig-zag textured, great for protecting surfaces against pots, pans, kettles, etc. Available in maple, walnut and ebonized walnut. Simple and low-key cotton cord white net bag with soft, vegetable tanned leather handles from And So It Goes. Handcrafted one knot at a time in Los Angeles. A hand-crafted white clay cup with horizontal line cut-outs and a light overall glaze. Black modular glazed porcelain milk pitcher with dark charcoal color and soft sand texture. The monochromatic tones and marbling pattern on each horn tell a unique story. Polished until flawlessly smooth, they’re brilliant for serving up your favorite cocktails. Three master artisans in Nakawa handcrafted these tumblers using only ethically sourced horn. All made exclusively in a fair trade environment. We hope you enjoy these rare beauties. This handsome, wall-mounted storage shelf (with mirror) is the perfect way to organize small items like keys, wallets, toothbrushes, etc. Looks great placed above a dresser, hanging in an entryway, or as additional bathroom storage. The unit is made of maple veneer with glass mirror and smoked oak veneer inserts. Modular porcelain milk pitcher with light grey color and glossy texture. Minimal dishware made in stoneware clay used as a storage vessel or vase. The simplicity of form and the subtle shades in white and light grey is a timeless piece in the kitchen or a decor in any room. Woodstock wardrobe displays your favorite clothing you don’t want to hide in your closet. The frame only needs a wall to lean against. Available in three sizes, fitting your space the best. Dorian and paperstone coasters with grooves absorbing precipitation. Comes with an oak holder. Many norwegians have a close connection with nature, and hiking is a common activity. With hiking comes packed lunches and hot drinks on a thermos. The carafe is made of glass or ceramics, and the top is turned wood. Wall hanging made from mixed media. Each teak wood tray is hand carved and sanded to bring out the wood's natural marbling. Each piece is hand carved by a cooperative of woodworkers, made start to finish in a fair trade environment. The group also replants teak forests to replenish this gorgeous resource for future generations. Modest, clean aesthetic cup hand thrown from vitrified stoneware is designed to accommodate beverages of all kinds. Fits comfortably in the palm of your hand and holds up to 5 ounces. Stainless steel French press with wooden handle. These lovely lightweight cups were designed and handcrafted by Hidetoshi Takahashi in his family run workshop in Hokkaido. The cups are made from Castor Aralia wood and have a food-safe polyurethane coating inside. The design for the Fire Tools was inspired through studying tools of the past and how these tools have evolved over time. By examining this evolution and distilling the tools down to only the most essential components needed for modern day hearths – maintenance, cleanliness, storage, and tending to the fire - their forms emerged. Each tool was reimagined to address each of these necessities in a unique way. Some of these items may no longer be available or already out of stock, will try to update and find online shops that carries or restocks the product. Most of these items may have affiliation links, wherein I get a small commission for introducing you to these products, however, they are personally selected by me and not required by any brands to showcase on this journal unless otherwise disclosed. Also every bit helps me keep this site up to help promote uncommon and well crafted everyday things and artifacts. Thank you for visiting!